Today is my day in The Hexie Love blog hop. I am happy to share with you Hexie Love, a new magazine for those who love everything hexagon. This is the cover of the Jan/Feb issue – the premier issue. And yes, that is the quilt I made with my Romanian friends! Hexie Love is the child of Julia Wood, well known for her love for everything hexagon. Her latest book, MORE Quick and Easy Hexie Quilts, is the second book using the circle technique for making hexies. It includes 10 patterns for quilts and related items. Complete instructions are given for making hexies from circles of fabric. The patterns in the book can be made with ANY hexagon technique, including English Paper Piecing. What’s the best about the Hexie Love? It’s digital!! As I live far away from the quilting world, I sure appreciate this! 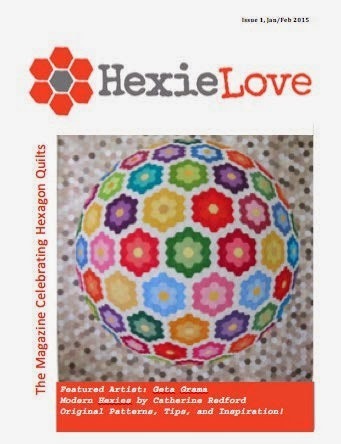 Hexie Love includes articles by talented hexagon quilt artists from all over the world. There is always a scrappy hexie pattern, a small hexie project or two, a book review, and lots more hexagon inspiration! There are 6 issues per year priced at $5.99 each. A year’s subscription is $26.99. Center medallion of the progressive quilt, ODYSSEY, which is patterned in each issue of this year’s Hexie Love. By the end of the year, a subscriber will have all the step in the pattern. Julia will send a copy of the magazine to one lucky reader, please leave a comment below if you want to be in the draw. 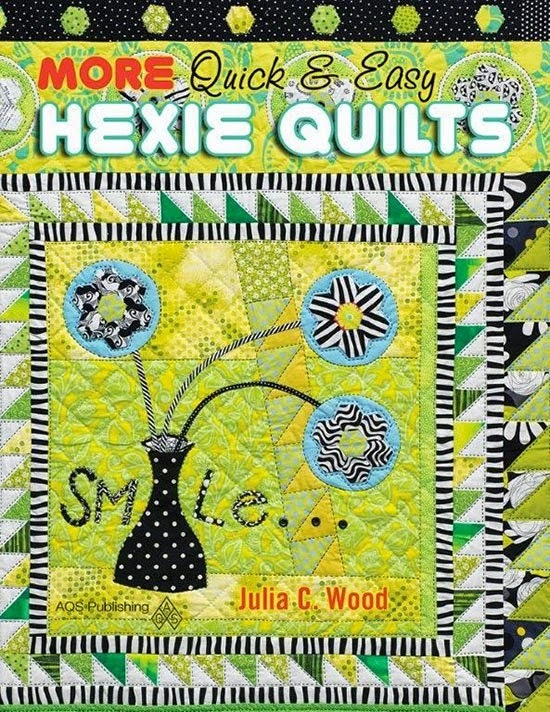 On the last day, Julia will give away a subscription to Hexie Love and a copy of MORE Quick and Easy Hexie Quilts. Follow her blog and enter. Do you think that yon don’t have enough patience to sew hexagons? I mean, by hand! Try it and you might be SURPRISED! I am a machine quilter. I like to sew things quickly. And for more than 10 years I thought that I hate sewing by hand. And then I made a hexagon design and I had to sew it by hand, there wasn’t any other option. Then I made a few other designs, spent a lot of time sewing them and learned a lot: about patience and the pure joy of sitting and stitching, not thinking at anything else. Well, actually, the story of my love affair with hexagon quilts is in the first issue of Julia’s magazine! I hope I am the happy winner of your magazine. I love hexies! What an interesting looking magazine! Thanks for the giveaway! Yay You! for being the First Feature Cover on this new magazine!!! I love that quilt!! This looks like an awesome magazine , filled with inspiriation and ideas!! Love your quilt, really is a great covergirl! I have done a few hexis and have enjoyed it. I finished and quilted a Grandmother's flower garden quilt my mother started in the 1980's! Thanks for the chance to win! I made a 30s reproduction sampler quilt and used hexies for some of the blocks. I enjoyed the hand work and really developed a love of hexies. I would enjoy seeing the new modern takes on this old pattern. I'm a hexieaholic who always has my projects with me. People are constantly telling me they don't have the patience for hexies. My super fast response is that hexies *give* me patience!! Thanks for another chance to win a magazine copy. Would love to win a copy of this fantastic magazine. Hexies are great for keeping the hands busy while watching TV. I really like the look of a group of hexes! And they're a great way to relax while not at the sewing machine. I am not surprised that your quilt was the featured quilt on the first issue of the magazine or that your hexie story is a part of the magazine. You come to my mind when I think hexies and have loved all of your gorgeous quilts. I am new to EPP and have rediscovered my love of hand sewing. I love her hexie magazine too! And your quilt on the first cover is just gorgeous! I love hexies and one of your patterns is next on my list to start. Hexies are my favorite project right now! The only thing I have time to work on with 2 kids under 5! I thought I wouldn't have the patience to sew hexies by hand, so I started with 1.75 inches. Wish I had gone smaller because I like the look of the smaller, but I can't quit hexing. I LOVE IT. thanks for the chance to win! Adore your quilts! Thanks for the chance to win! Nice to see your quilt on the cover. I have finished assembling my Flower Ball quilt, and now am thinking about the background. I will send you a photo once it is done. I love your designs & would love to win a copy of this new magazine! How wonderful. Your hexagon quilt is destined to be a classic. What beautiful memories, our joint project! My only hexie project is a table runner I have started, doing EPP. Who knows when it will be finished… I admire all the beautiful hexie projects out there, and new, faster methods are highly appreciated. I love your hexagon quilt! Hexies and epp in general is addictive. I never thought I'd make more than the odd embelishment when I first started sewing them, now I always have some EPP on the go. Love the Blog Hop .And i recieve your newsletter ,and enjoy your work.Thanks for a chance to win. I'd love a copy of this magazine, I have a pile of hand dyed silk hexies and no idea what to do with them. Love hexirs, especially when done with Inklingo. 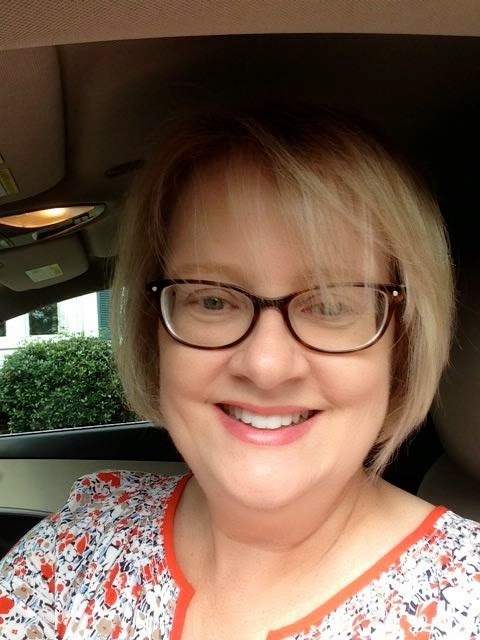 Great blog hop!! I just started making hexies again after years of not making them and this time around like the calming effect of hand sewing. I recently completed a 4,00 piece hexie quilt, all by hand of course and all scrappy. I am nearing the end of my second one now! I really like how relaxing hand sewing hexies can be. I am always looking for more inspiration! I love hexies, I love hexies, I love hexies, I love Geta Grama, I love Julia, I love give-aways. Just singing your praises here, lol. I love hexagons so this magazine looks great! I collect all things hexagon and would love to have this emagazine. I've always admired your hexagon designs, Geta. I love hexagons, but still haven't finished my hexagon quilt. I do love yours, though! Sewing hexagons is kind of addictive. The magazine looks like a lot of fun inspiration! Love hexagons snd love there is finally a magazine for hand quilting. Am watching old shows from The Quilt Show and recently watched one featuring Cheryl See. She showed her magnificent hexie quilts and also showed how to make three dimensional bowls and boxes using hexies. I just completed one of the bowls and love how it turned out. What a great giveaway. I love hexies. And congratulations on being featured in the first issue. You must be thrilled. I love hexes! Great blog! Hexies are heavenly! I love your blog, Geta, and would love to win a copy of this magazine – if I'm not too late! Your hexie quilts are wonderful. I have some of your patterns, but haven't started them yet. 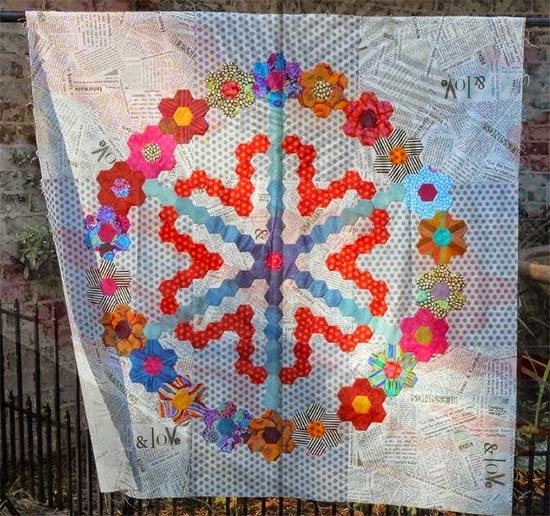 I most love your whole cloth stitched hexie flower quilt.